This article was last updated Oct 22, 2018, but some terms and conditions may have changed or are no longer available. For the most accurate and up to date information please consult the terms and conditions found on the issuer website. Are you one of those people who avoid credit at all costs just to save yourself from debt? If so, you may see yourself as a wise money manager. But your savvy saving practices may not work in your favor when the time comes to get a credit card or a loan. Oddly enough, having never used a credit card or borrowed money from a bank may put you in worse shape than someone with terrible credit. If none of this makes any sense to you, we may need to break things down from a creditor’s perspective. They see the situation a lot differently than you might, and that is why they usually give preference to those with some sort of credit history. Here is an overview of why you may want to start building your credit now. Lenders routinely base lending decisions on your credit track record — aka your credit history. Not having any credit history because you have never needed to borrow money may be a fantastic testament to your character and to your ability to make smart financial choices, but it also means lenders have no way of telling whether you’re a credit risk or a solid bet. To lenders, you are like a person who cannot explain where he or she has been for the past 10 or 20 years, or what you have been doing with your life. You probably wouldn’t go out on a date with someone who could not answer those kinds of basic questions, nor would you rent to him or hire him to work for you. In the same way, those who depend on credit scores to evaluate your ability to pay back borrowed money will not want to enter into a relationship with someone who has no history. Most of them would prefer to hire someone who has lousy credit, but a good explanation for their credit problems. It can be a lot harder —or you could be rejected outright — if you’re trying to buy a home or rent an apartment without credit. Those with credit scores of 700 and above, considered to be excellent credit, get the best mortgage interest rates and most affordable loan terms. With apartments, most landlords require good credit, and you may have to have a cosigner and put down a larger deposit. If the rent doesn’t cover utilities, you may have to pay security deposits with companies if you have no credit. You may need a cosigner. If you want to attend college and need help to pay it but can’t get federal student loans, you may want to look at private student loans as an option. But without any credit, you may have to either find a cosigner, pay higher interest rates, receive less-favorable terms on your loan or even be rejected outright. If you want to do things like get a credit card, buy or lease a car, apply for a personal loan, find capital to help fund your business, get a cell phone or even get a job, it will be harder to do without a credit history. It’s harder to get credit cards that offer lower interest rates, better ways to earn rewards or cash back and more perks. While there are cards out there that help you build your credit, you’ll have to consider ones that come with higher interest rates, either unsecured or secured. Check out our roundup of cards for those with limited or no credit history here. When it comes to building credit, you’re at an advantage if you’re starting from scratch versus someone who is working against a past of bad credit habits, said Schulz. Try a secured card. The best tool to build credit for someone with no credit is a secured credit card. “It works exactly like a regular credit card, except that you have to make an initial deposit in order to get it. The deposit amount sets your credit limit, so if you put in $200, you’ll have a $200 credit limit,” Schulz explained. 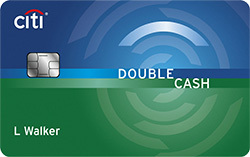 The Discover it® Secured or the Capital One® Secured Mastercard® can be good choices. 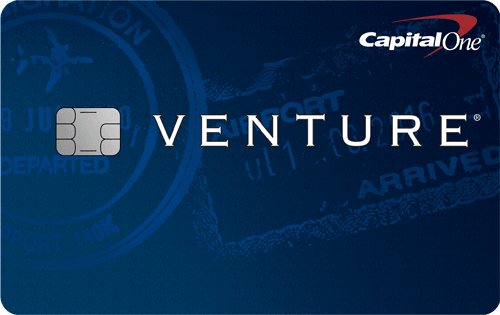 Check out our roundup of the best secured credit cards. Pay the secured card off in full each month. Use the card wisely by paying your bills on time every time and keeping your balances low, and you’ll likely graduate to an unsecured card within a year, said Schulz. “Just make sure that the issuer will report your credit history to the credit bureaus,” he said. Become an authorized user on another credit card. If you can’t get credit on your own, consider asking a family member or friend with good credit for help. As an authorized user, you can see your credit score rise if the primary cardholder makes on-time payments and the credit issuer reports those payments on the credit reports as well. Check out our story on Joint Account Holder vs. Authorized User on a Credit Card. Once you create a documented paper trail of your excellent credit history, your creditors will be able to verify and validate the fact that you are trustworthy, reliable and capable of handling your money well. These are the qualities lenders look for that can improve your future lending opportunities. Use a credit builder loan. If you’d rather not get a credit card, a small personal loan from credit unions or banks is an option. There are also self-lending companies like Elevate and Self Lender, where you deposit a small amount of money into a secured savings account. You pay the money back in small monthly installments — with interest — over a set period of time. At the end of the loan’s term, ranging from six to 24 months, you receive the total amount of the loan, plus any interest earned if the lender offers it. It’s a great benefit to borrowers who make their payments on time since lenders report those payments to credit reporting companies and it helps you build a solid credit history. You can learn more about credit builder loans at MagnifyMoney.com. Use store credit cards with caution. Retail cards have a low barrier to entry, making them potentially easy to get for folks with no or poor credit. Some retail cards even allow you to see if you prequalify before you officially apply, which can save you from the temporary ding to your credit score that occurs when you apply for new credit. Even so, proceed with caution. Check out our 2018 Store Credit Card Study. This article may contain links to MagnifyMoney.com, which like ComparedCards, is a subsidiary of LendingTree. Should You Sign the Back of Your Credit Card?